Now in its third year, this project brings together senior leaders of America's major philanthropies from across the political spectrum. Its goal is to enhance the capacity of foundations to work together to unite rather than divide America. 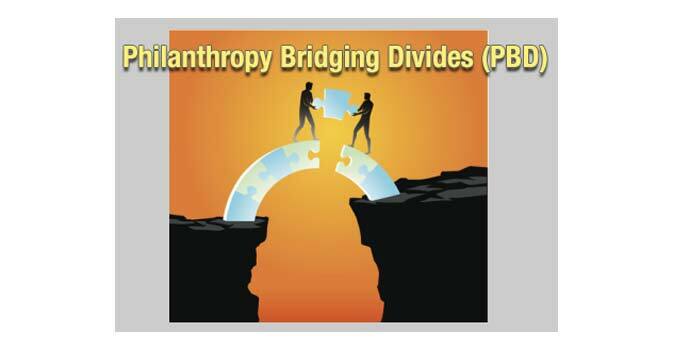 In 2016, Stephen Heintz, President of the Rockefeller Brothers Fund, and Mediators Foundation’s President Mark Gerzon and Board Member John Steiner spent several months exploring the possibility of convening a group of philanthropic leaders to the Pocantico Conference Center to discuss what role philanthropy could play in bridging political divides in America. When Chris Gates, a non-profit and philanthropic leader, joined the team early in 2017, the planning process intensified and the design of the project further clarified. Our goal was to bring a select group of philanthropic leaders together, from the center left, the center right, and the center, to talk about what the philanthropic community can do to help bridge the divides that currently dominate our political, cultural, economic and social lives. In the aftermath of the 2016 election, philanthropic leaders of every stripe–private, community, family and corporate–have been discussing and debating what their role can and should be during this difficult time. Many philanthropic leaders are coming to the conclusion that they can both fight for the causes they in which they deeply believe and be a part of a conversation about what role they can play in turning down the volume on the vitriol and divide that currently dominates our national dialogue.